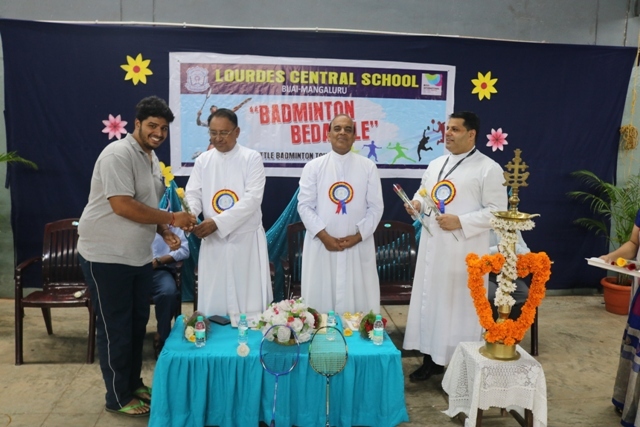 Lourdes Central School hosted Inter-School Shuttle Badminton Championship for Udupi and DK district for ICSE and CBSE schools-under 14 category at U.S. Mallya Indoor Stadium, Mangalore on Saturday 5th August 2017. 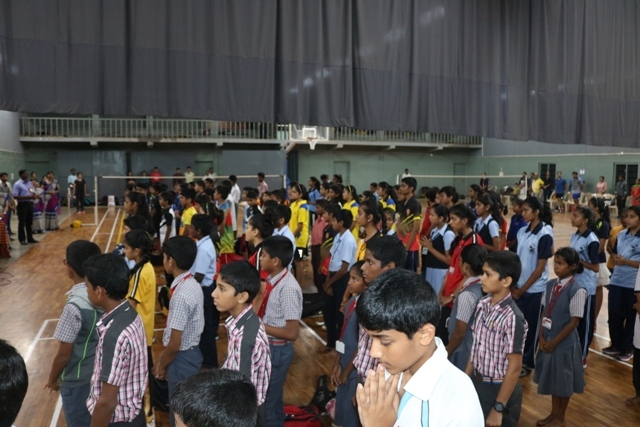 The inaugural ceremony was held at 9.30 a.m. 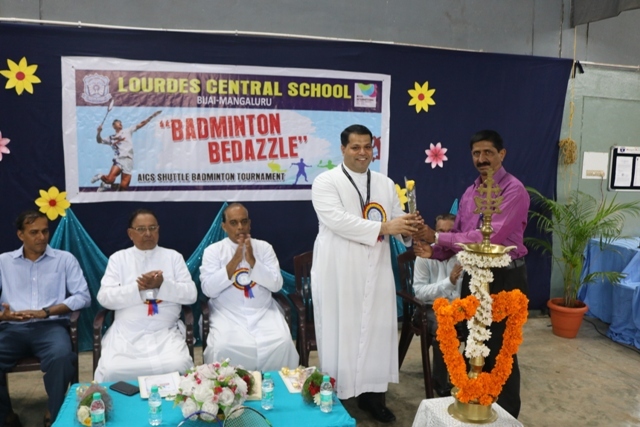 The Chief Guest was Rev Fr William Menezes, Public Relations Officer Diocese of Mangalore. 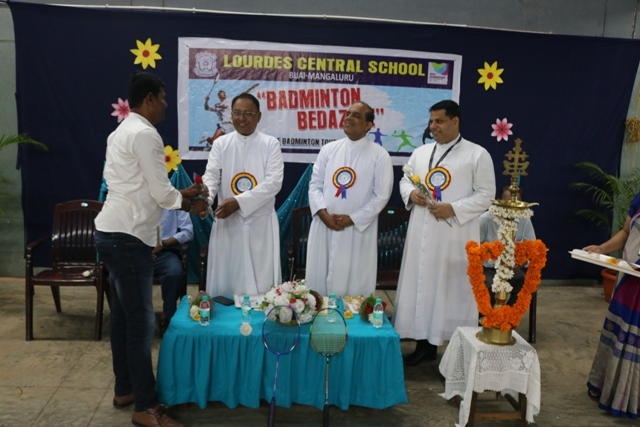 Rev Fr Wilson Vitus L D’souza, Manager of LCS presided over the function. 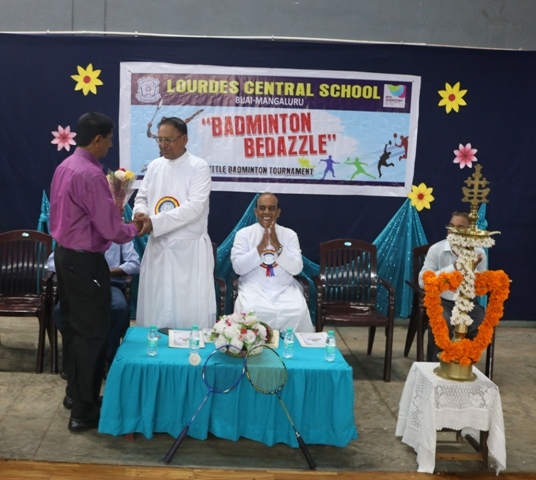 Rev Fr Robert D’souza, Principal of LCS and Mr Stany Vas, Vice President of Bejai Parish, Rev Fr Maxim Dsouza, Principal St Don Bosco School and the Managing Committee of LCS were present on the dais. 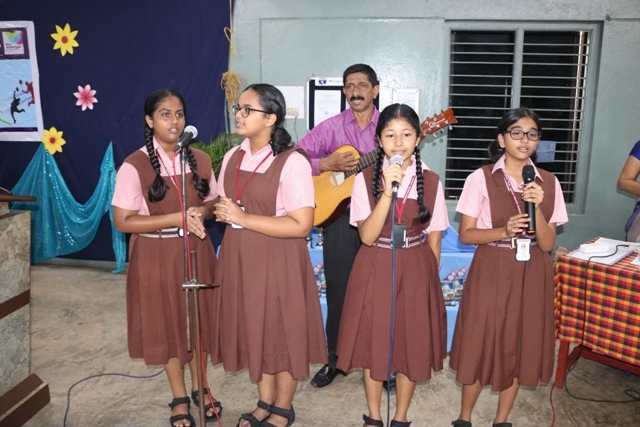 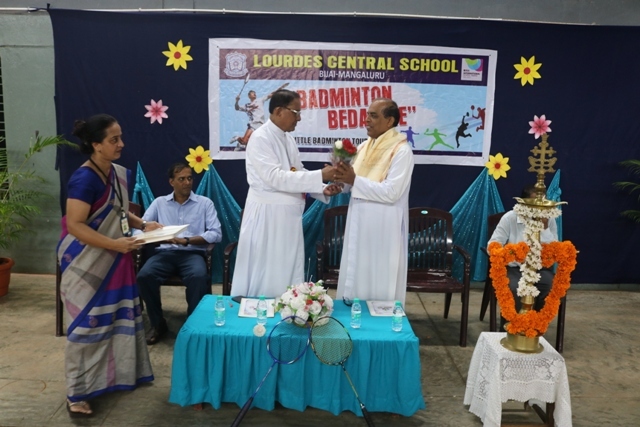 The esteemed guests, participants and team managers were welcomed and the tournament began by invoking God’s blessing with a prayer song sung by the students of LCS with the guidance of the Music Maestro Mr. Ivan Mascarenhas. 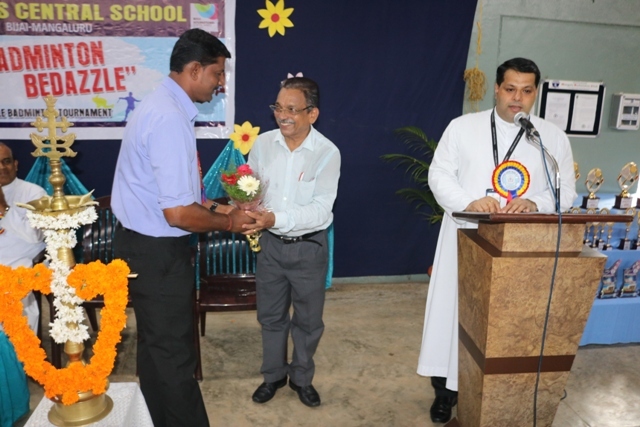 The Chief Guest was welcomed and introduced by Rev Fr Robert Dsouza, Principal of LCS. 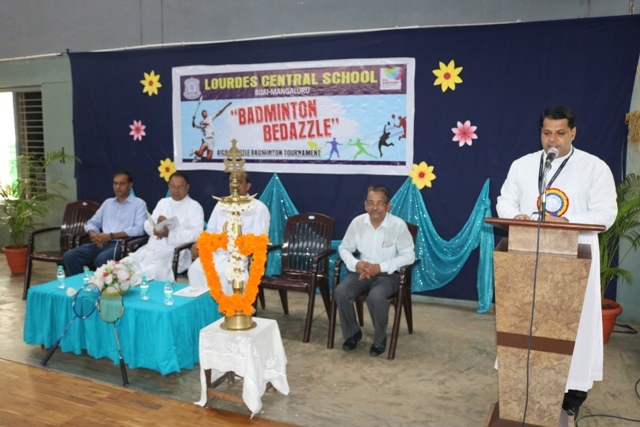 In his welcome address. 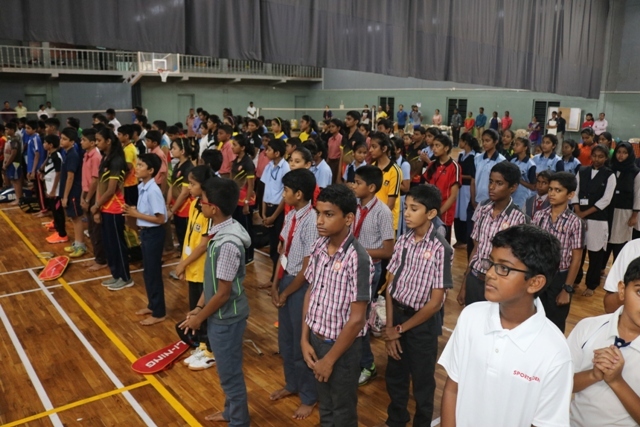 He cheered all the participants and asked them to involve themselves completely and make this mega event a grand success. 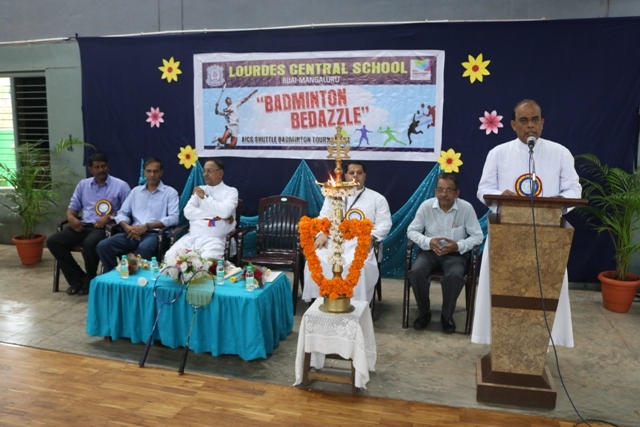 The Chief Guest along with the dignitaries lighted the lamp. 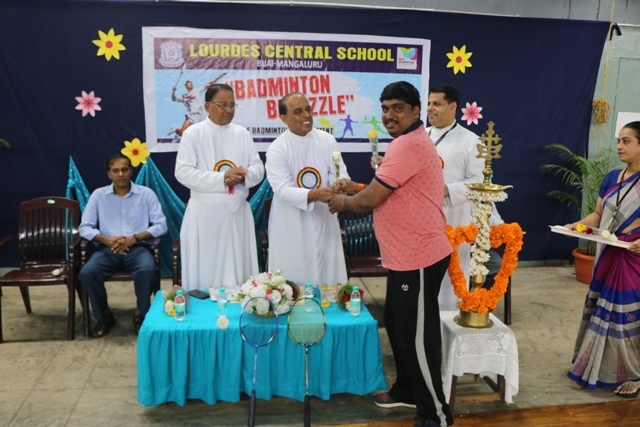 The Chief Guest Rev. 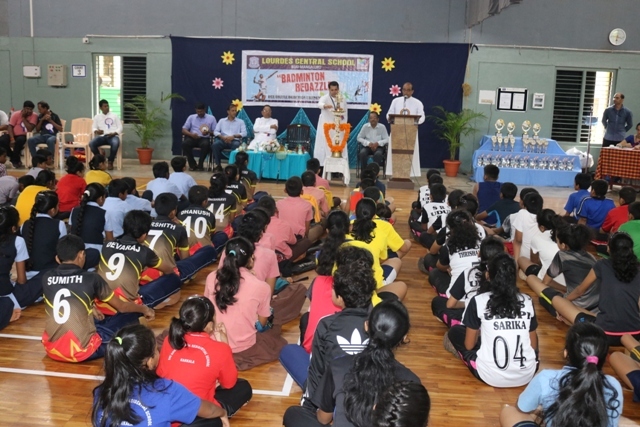 Fr William Menezes welcomed the budding sportsmen of various schools of Mangalore and DK with the spirit of sportsmanship and told each participant to play whole heartedly and make our school and country proud. 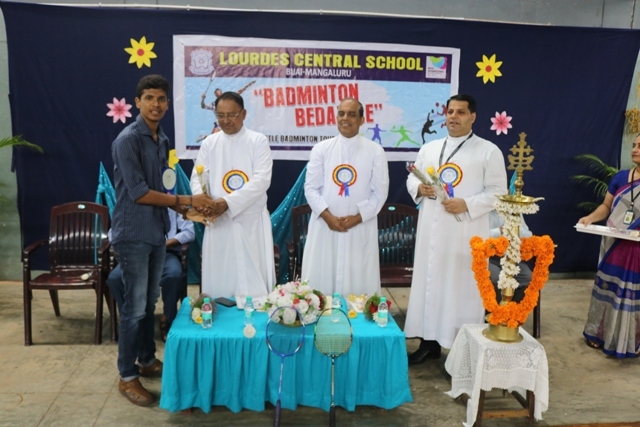 The Manager Rev Fr Wilson V Dsouza urged the students to develop values, exhibit the talents by witnessing healthy competition and celebrate the success of others. 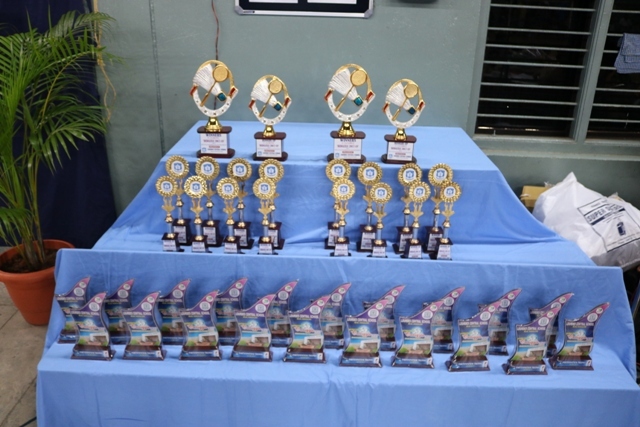 Total 26 boys and 20 girls teams participated in the tournament. 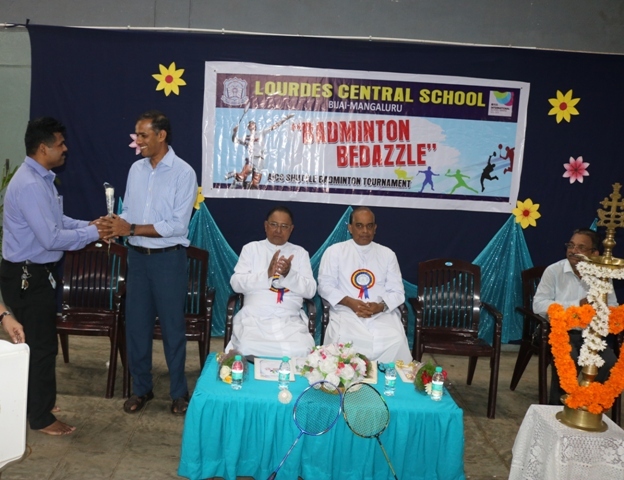 The tournament convener Mr Vishwanath led the dignitaries to inaugurate the event by playing across the net and opened the tournament. 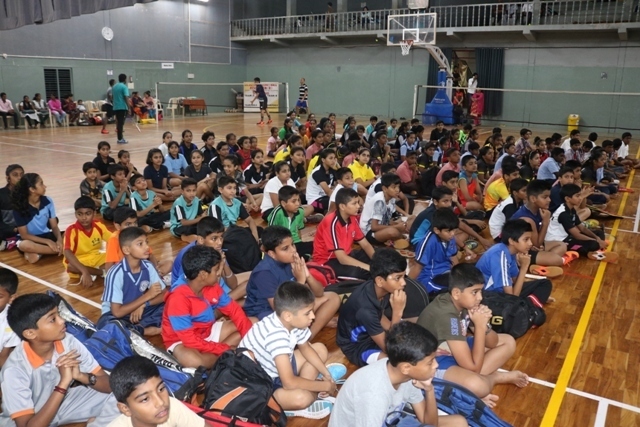 The Referees Mr. Gautham Shetty and Mr. C Sagar took charge of the tournament.